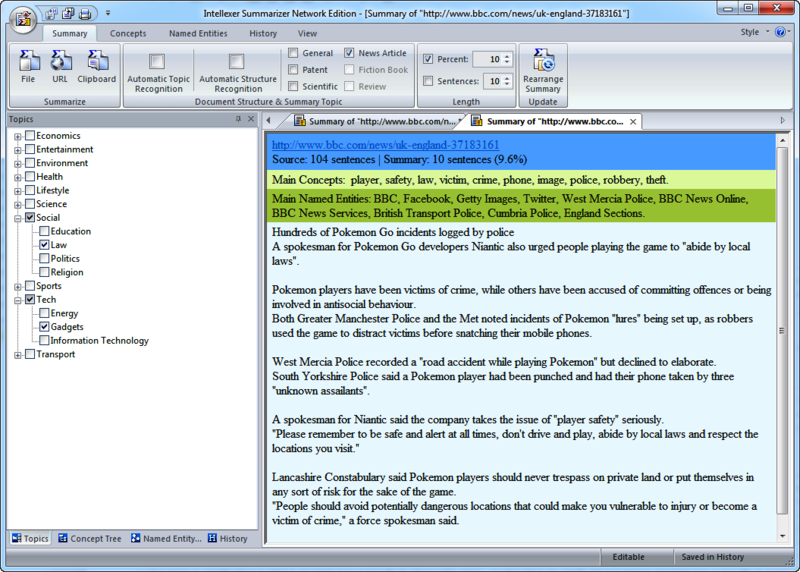 IntellexerTM Summarizer Network Edition is a network client application. 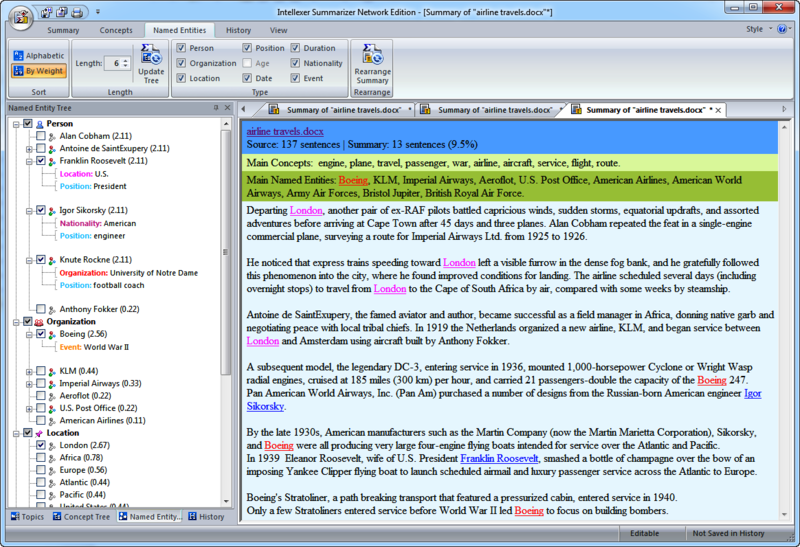 It is based on the proprietary linguistic platform IntellexerTM. Summarizer NE is an ideal solution for those who don’t have any time or desire to read huge documents. Summarizer will do it for you. The result of its work is a short summary that contains the most important ideas and concepts of the original text with a minimum loss of meaningful information. 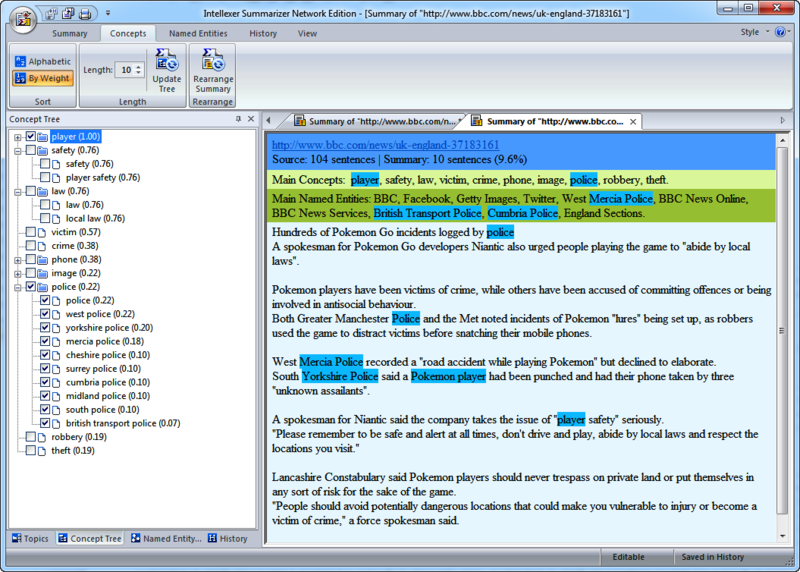 Intellexer Summarizer NE generates topic -oriented summaries, thus taking into consideration your specific interests and preferences. 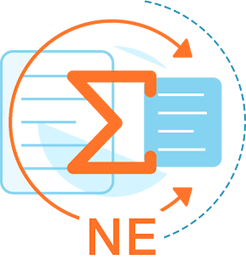 With the help of extensive built-in ontologies (e.g., economics, entertainment, environment, health, lifestyle, science, social, sports, tech, transport) Summarizer NE easily and precisely detects the topic of a text. Often a text may cover more than one topic; in this case by choosing a particular one, you can get a summary that covers this topic to a greater extent. 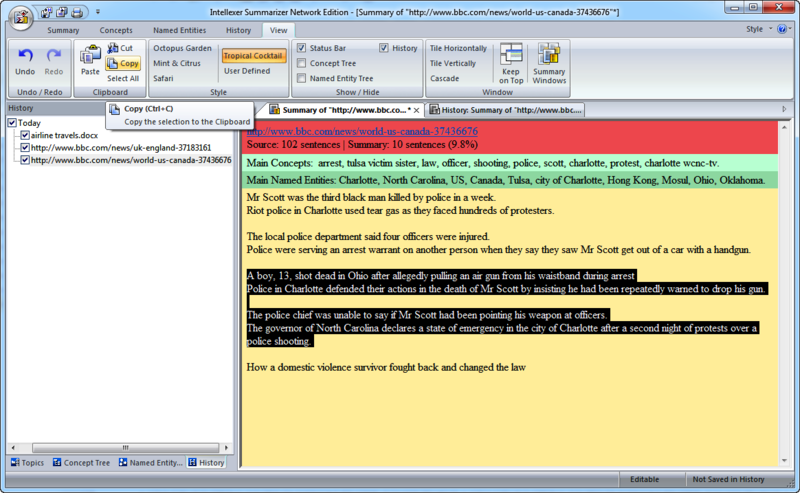 Moreover, Summarizer NE is able to recognize the type or structure of the original document. It can be a patent, scientific or news article; otherwise document structure will be recognised as general. Supported file formats - PDF, RTF, DOC, DOCX, TXT, HTML/HTM, MSG, etc. 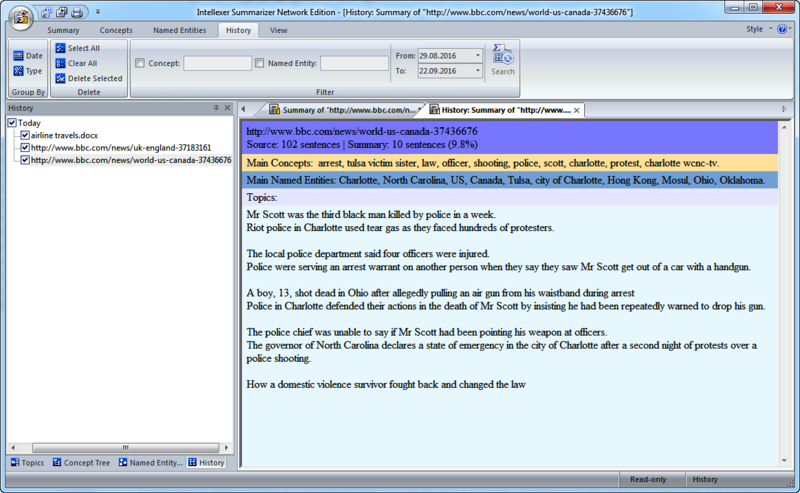 Get access to the most up-to-date and intellectual tools for text information processing. Our semantic technologies allow you to solve the issues of information search, extraction and systematization. By means of easy web access you can retrieve and manage knowledge from your documents in the most efficient way.